The 744-C Double Handle Faucet has an ultramodern appeal for those who prefer a hard-edge, angular design. Its long neck is bent at a 90-degree angle and ranges nearly ten inches over the sink. It also swivels 360 degrees to reach any point on its large circumference. Squared handles twist to turn on or off. 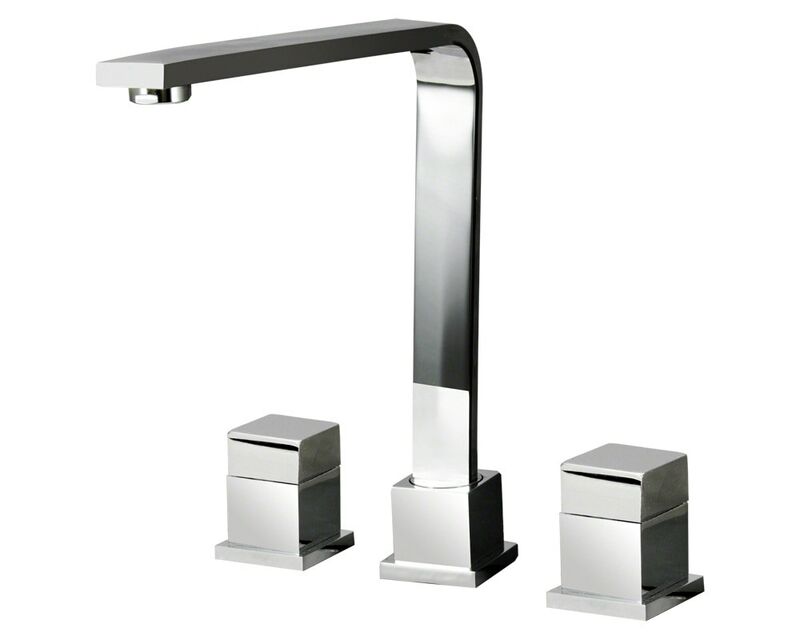 The 744-C is available in a choice of two finishes: chrome or brushed nickel. Like our other faucets, it is cut from solid brass, fully-tested and shipped with our limited lifetime warranty. An optional matching spray hose is also available.